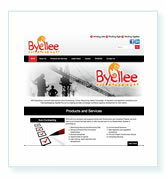 Our Small Business Website Design Package. The Small Business Website Design package is an affordable and quick solution to getting your business online and is suited for websites that typically have less than 15 pages. Our user friendly secure website administration system gives you the freedom to update the content on your website immediately something changes in your business. This package is well suited to service type businesses such as accountants, solicitors, counsellors, beauticians etc. Content Management Systems can be very difficult to use without some HTML knowledge. 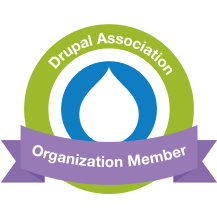 We have made it a priority that our CMS be simple to use. We tailor the solution and show you the tricks of the trade that you will need to keep your website looking professional once we hand it over to you. 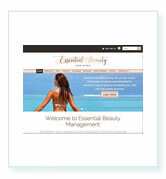 Initial meeting to discuss the goals and requirements of your website. We like to understand your business, industry and competitors so we can help you get the best possible website solution. Stock photos from Envato Elements are free of charge to AAHB Clients. Costs of any purchased stock photos from other sources will be added to the cost of the project. Blog/News with the ability to schedule when the article should be published/unpublished. Social Media. Facebook likebox, Real time Twitter Feed, AddThis Share icons on each page, Links to your social media pages. Ability to add youtube or vimeo videos to your pages. Automatic image resizing on upload. Revisioning of page content. This allows you to keep a history of your page content, compare different versions and revert back to an old version if you accidentally delete something you didn't mean to delete. You will also need to have your website hosted. We offer web hosting to all our clients. 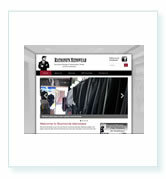 Please click here for more information on website hosting. We can add any of the following features to the minimum package to get the right website solution for your business. Automatically add posts to your Social Media accounts using your favourite Social Media Marrketing Automation platform . If you already have a website we can redirect your old URLs to your new URLs so you don't lose your current SEO rankings. We can also migrate content from your current website. The main difference with our websites is that we believe the backend administration area for you, needs to be just as user friendly as the frontend website for your visitors. You are delivered a website that is easy to update which means you are more likely to keep your content up to date rather than having the website sit in the corner because it is all too hard. 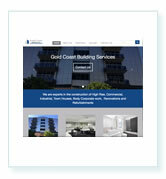 We know your business is important to you and your website needs to reflect the professionalism of your business. Updating your website should not be a chore. It should be intuitive and quick. Each and every website we develop is given a tailor made admin system for your needs. We give you all the necessary tools and training to be self-sufficient and update the website content yourself.